Are you one of those mothers who need to try several formulas before finding what is right for the baby? If that’s the case, then you’re in the right webpage. Many moms breastfeed and supplement their babies while others exclusively bottle feed with any Similac formula. If you’re one of the parents who bought a select Similac baby’s formula, they offer a Tummy Care Guarantee. So if your baby's stomach does not agree with any of their Similac formula product, you can simply try another one for FREE. Similac offers a rebate or refund of the purchase price excluding taxes as well as shipping on their select products for their Tummy Care Guarantee program. Indeed, every baby is unique. Their tiny tummies are sensitive and Similac has a range of various formulas backed by their Tummy Care Guarantee for gentle stomachs that preemies, newborns and infants have. We bought different types of Similac, but when our baby’s tummy did not agree with it, we tried something different and received a rebate or refund for the purchase price. Once you start the SIMILAC TUMMY CARE GUARANTEE, they will offer you a CODE such as SIMILACTCG. They will let you submit Additional Information. 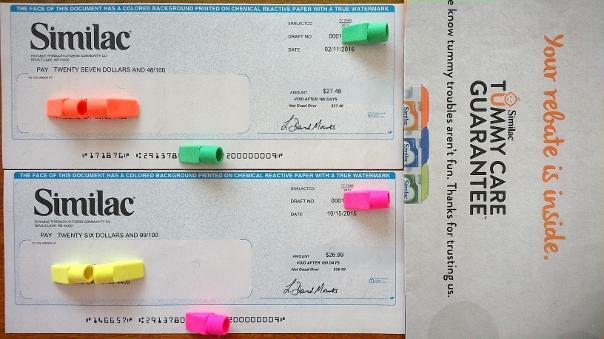 For example, Step 1, you need to write a unique code on each of your Receipt(s) such as t1L in my refund or rebate. In Step 2, you need to encircle eligible products, including the purchase price. In Step 3, you have to scan or take a digital photo of your Receipt(s) with the unique code that they had provided for you then select your file and upload. You also need to ensure that the total purchase price is displayed. The acceptable file types are: JPG, PNG, GIF and PDF. Your file size should not exceed 5 MB. Take note that an immediate preview will not be available for PDF files. Once you’re done, they will provide YOUR SUBMISSION TRACKING #. You can try another Similac sub-brand product formula for example (Similac Soy, Sensitive, Total Comfort, etc.) that is either liquid ready-to-feed or a 1 lb. or larger product. The guarantee only applies to current Similac formulas that are available at retail and paid for with personal debit or credit card, cash, or personal check. 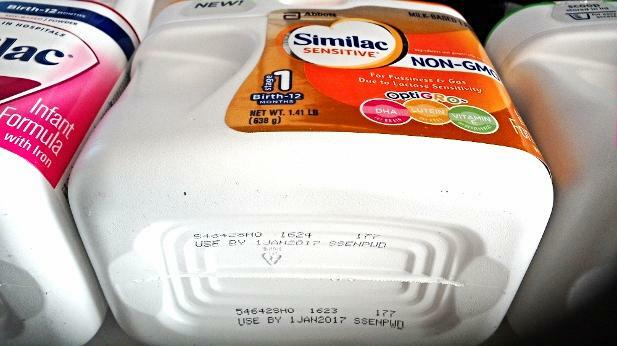 In order to get your refund, you need to write down the batch number from the first Similac container found on the bottom part that you had tried for your baby. Be ready with the receipt for the other Similac formula product that you want to replace it with. You also need to complete an online form by clicking the "Start Now" that they provide through their website. They generally limit 2 refunds per household regardless of the number of children in the house. 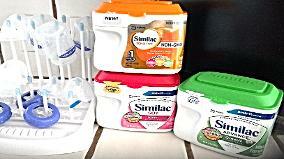 For additional savings and support, they have the StrongMoms program that you can enroll by visiting similac.com. It’s their official website for more coupons, sales and deals. Please check with your pediatrician as well, because he/she may have additional guidance and support available for you and your baby. It’s always good to consult your baby’s doctor whenever you switch formulas. You need to go to www.similac.com/guarantee within 30 days of purchasing an alternative formula in order to receive the refund. Enter these information such as your name, address, phone number and email. You also need to enter some product information, including where you purchased the replacement Similac product, the receipt and UPC number for the replacement Similac formula, the batch number or numbers (#) of the Similac product or formulas on which your baby experienced tummy troubles including the types of tummy troubles your baby experienced, such as spit up, gas, fussiness, and among others. For update, additional information, full terms and conditions, as well as how to receive the Similar formula refund, you may visit their website at www.similac.com/guarantee. 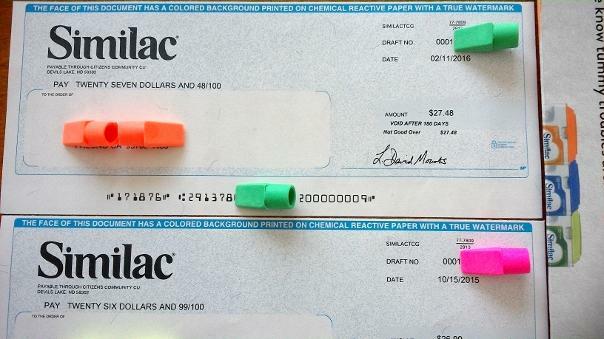 The rebate or refund that I received was a check in the amount of $26.99 trough the mail. It arrived before six weeks from the date of my submission for check delivery. If you have processed your request, but haven’t received your check after six weeks, you may contact them at 877-322-8355. The contents or any articles that you can read at CouponSaleDeals.com is for informational purposes only since they are simply based by the opinion of the author or publisher of this website. The Publisher of this website has financial relationships with some of the companies mentioned through their products, and offers since they are our third party sites. The Publisher may receive monetary compensation in exchange for featured placement of sponsored products or services on this website so try to research your best before buying anything from our third party websites if you are redirected in one of them. The Publisher of this site strives to write good, educational and accurate reviews as well as articles to the best she can offer for the online community.